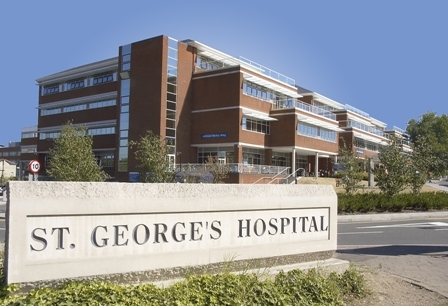 On the 1st November 2016, the Care Quality Commission published its report into the state of care at St George’s University Hospitals NHS Foundation Trust. The standard was considered inadequate and consequently the hospital has been place into "Special Measures". The Renal Unit, however, was praised for its practices that led to excellent outcomes (higher survival rates and transplantation success) that "were amongst the best in the country". The Care Quality Commission (CQC) rated the overall state of care at the Trust as INADEQUATE. You will find their response to the report including a video from the Acting Chief Executive, Prof. Simon Mackenzie here. Outcomes for renal patients in relation to survival rates and transplantation were excellent and were amongst the best in the country. ..."
What does this mean for the Renal Service? Clearly the major impact of the CQC report has been to cause the service to be moved from its current location in the Knightsbridge Wing. The hospital has had to act quickly and clearly dialysis patients have been particularly affected with most being moved away from the Tooting site. For more on the latest move news see here.